Transmedia is the media buzzword du jour. Many producers and marketers want their media and entertainment properties to be transmedia, but don’t fully understand how adding media platforms to their project fits into the overall story arc or audience experience. Transmedia Marketing: From Film and TV to Games and Digital Media lays out the transmedia strategy for integrating your entertainment narrative and content marketing into a single storytelling enterprise that transforms your audiences into ambassadors – co-creators, co-distributors, and co-marketers. With Transmedia Marketing you’ll be ready to write and execute the marketing and content plan for your media project and become a become a facile and compelling creator on many media platforms – on air, online, in print, and on the go. 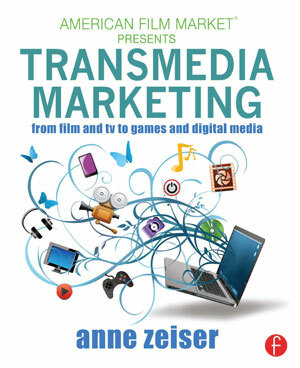 American Film Market® – the largest motion picture market in the world – is presenting Transmedia Marketing: From Film and TV to Games and Digital Media as the definitive film and entertainment marketing book in its “American Film Market Presents” book series. There is more than a little bit of secret sauce contained in this book. Transmedia is the forum in which content creation and content marketing have truly collided, sharing the goal of creating immersive story worlds and engaging audience experiences. Current online, social media, and mobile digital technologies have changed content and audiences’ relationship with it. Now audiences participate directly with socialized content, making them both producers and consumers. And entertainment properties’ promotional tools – video teasers, key art, or Twitter chatter – are now are media products unto themselves, blurring the lines between entertainment and its marketing. In any form – on air, online, in print, and on the go – media content can both advance the story and market the story. In this new media and entertainment world order – no matter your current job description – you're both a media maker and a media marketer. And because in this content-saturated world you want to connect your audiences with your media projects using multiple media on-ramps – you’re also transmedia. The goal of Transmedia Marketing is to teach media makers and media marketers how to imagine the unlimited storytelling and marketing possibilities for your media project. The perfect outcome is that you’re freed enough from the conventions or boundaries of any media platform or job description to conceive and execute transmedia projects that truly connect with your audiences – the top ingredient for true success. As a 21st century media maker andmedia marketer who wants to tell stories and engage audiences in entertainment experiences on multiple media platforms, Transmedia Marketing: From Film and TV to Games and Digital Media is for you because it takes a holistic approach to content creation across multiple media platforms – integrating both storytelling and marketing.  This book’s unique approach enters directly into the maw of the new media and entertainment landscape. It uses storytelling on multiple media platforms to reach audiences’ limbic brains, encouraging them to emotionally and authentically engage with content and properties. This vaunted practice of audience engagement is hailed as the most effective way to reach audiences and is what Transmedia Marketing is about. Transmedia Marketing teaches the fundamentals of developing a sound marketing and content plan through strategic research, target audience identification, goal setting, and branding. And it demonstrates how to execute key elements of your plan – from publicity, events, partnerships, and advertising to online content and video, social media, and interactive media. Creatives, business execs, and marketers alike will devour this book’s clear guidance and real-world examples of how to shape a project so audiences will love it, participate in it, and share it. Definitions and Resources – defines, provides background, and offers experts’ perspectives on transmedia marketing, transmedia, and marketing. 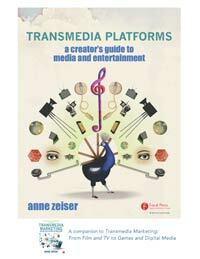 Get free e-book, Transmedia Platforms here.